BUFFALO – Former NHL goalie Marty Turco has called Sabres general manager Jason Botterill a friend for more than 20 years, dating back to their playing days at the University of Michigan, where the NCAA stars won a national title together in 1995-96. But Turco said his proudest memories of Botterill, who was named GM this morning, come from their year as teammates with the Michigan K-Wings, the Dallas Stars’ affiliate in the now-defunct International Hockey League. Back in 1998-99, Botterill was a second-year pro captaining a pedestrian K-Wings team that won 35 of its 82 games with Turco as its rookie netminder. Botterill, Turco said, wasn’t afraid to get in the face of an older teammate. 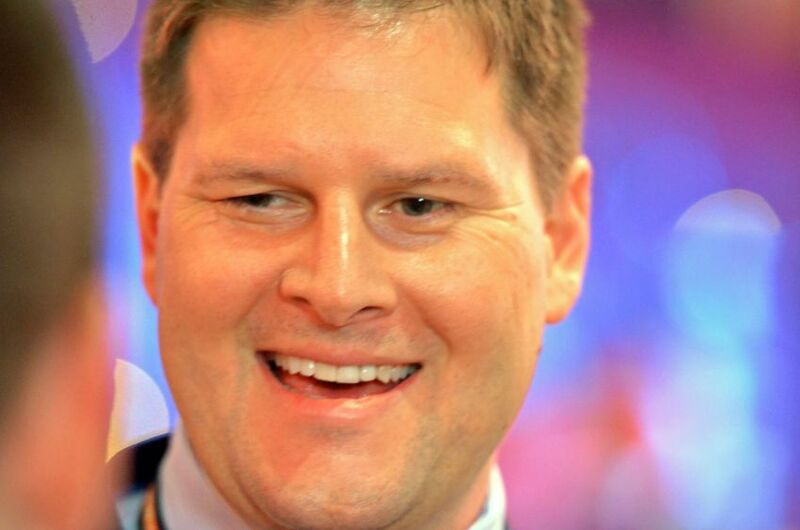 Botterill spent the last 10 seasons with the Pittsburgh Penguins, winning two Stanley Cups while rising to associate GM. Turco’s hardly surprised his friend will now run an NHL team. He knew years ago Botterill possessed special qualities to do whatever he wanted with his life. “The guy could’ve been Prime Minister of Canada, it wouldn’t have surprised me,” Turco said.